Home / internet / technology / Senator Chiz Escudero Says Internet Speed in the Philippines is "Unacceptable" and "Pathetic"
Senator Chiz Escudero Says Internet Speed in the Philippines is "Unacceptable" and "Pathetic"
It is no secret that the internet speed in the Philippines is very slow and sometimes or most of the times others would claim that it is frustrating. If you are just a normal and average internet user like for browsing and minimal streaming, you can still tolerate it but if you are a kind of heavy type of consumer like you do streaming, downloading or doing home-based online jobs then you know how it feels to rely on our data and download speed. 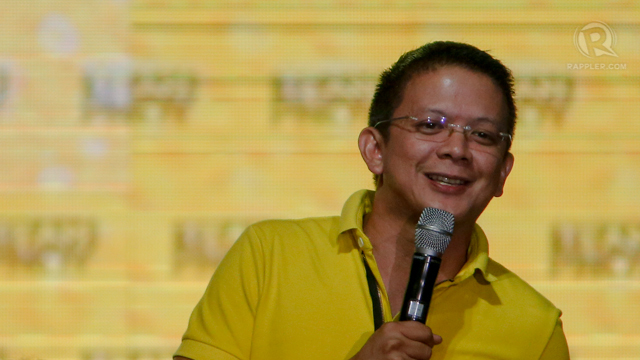 No wonder Senator Chiz Escudero called it "Unacceptable" and "Pathetic" according to a report on Inquirer.net. Read on for other things he said. “The current situation in the country is, sad to say, unacceptable. The state of internet speed is pathetic, and unless we remedy this situation, our IT sector is likely to suffer in the long term,"
I have to agree that the Sen. Escudero is right, that if the current state of internet speed in the country which is at 3.64mbps as per latest Ookla Household Download Speed Report compare to Singapore and Hong Kong's 122.43mpbs and 102.96 respectively, a lot of sectors in the country might be affected and suffer in the long run, for example the IT-BPO industry which is currently generating a lot of revenues and jobs for Filipinos. I hope that our telecommunications providers like Smart, PLDT, Globe and others will continue to improve the internet speed in the Philippines. Hopefully within the next couple of years or shorter we will have at least double digits in the download speed report next time they run the test. And most of all, more affordable internet plan. I am pretty sure a lot of Pinoys are relying on the internet to earn extra money or full-time income from, that's why this is very important.